Can DragonFly 3D Printer be Suitable for PCB Prototyping? Are You Struggling to Find the Support for PCB Prototypes? What is the best way to fan-out 0.5mm pitch BGA for fastest prototyping? Can someone help me review and prototype PCB? 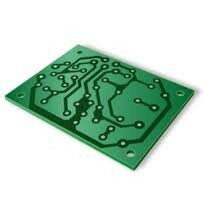 Where can I order the 4 layers PCB prototyping? Can PCB board with very small chips be prototyped?